I am plough ahead with my work on Staffordshire, some fascinating sites there. Here are some well known and not so well known sites…all worthy of investigation. The name of the well is curious; it could refer to the shape of the basin, but could also refer to sulphurous waters although I could not detect a smell. Today, a rather ugly 19th century brick built structure surrounds this stone lined bath shaped structure, this was roofed at a later date. South of the town east of the Cheddleton road is the delightful but little known Lady Well or Lady o’ th’ Dale well (SJ 887 145). It was called the Weaver’s Well. The age of this well is difficult VCH (1996) records that it was named in the Middle Ages, it is recorded as Lady Wall Dale in the late 16th century (1587) and there was a farm belonging to Dieulacres abbey along the Cheddleton road, but the presence of St. Mary’s RC church above the well and 19th century fabric suggests it was developed by the local Catholic community. Indeed, a May Day procession was taken by children from the church every May Day, although when it ceased is unclear. The site is grade II listed and the cartouche above the well has the 1855 and some unclear initials in Gothic writing. 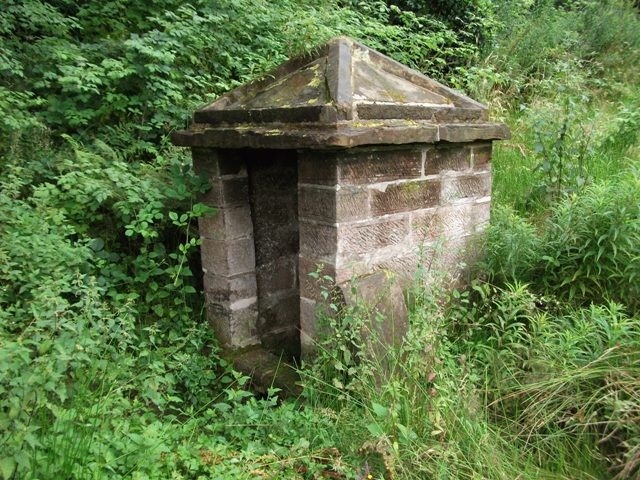 Its structure is rusticated ashlar 2 metre high with a slightly recessed niche below originally a water spout collecting water from the spring through which water still flows. The spout is made of a worn circular structure which may be carved head, it appears to be surrounded by stylised hair or possibly is a sun. 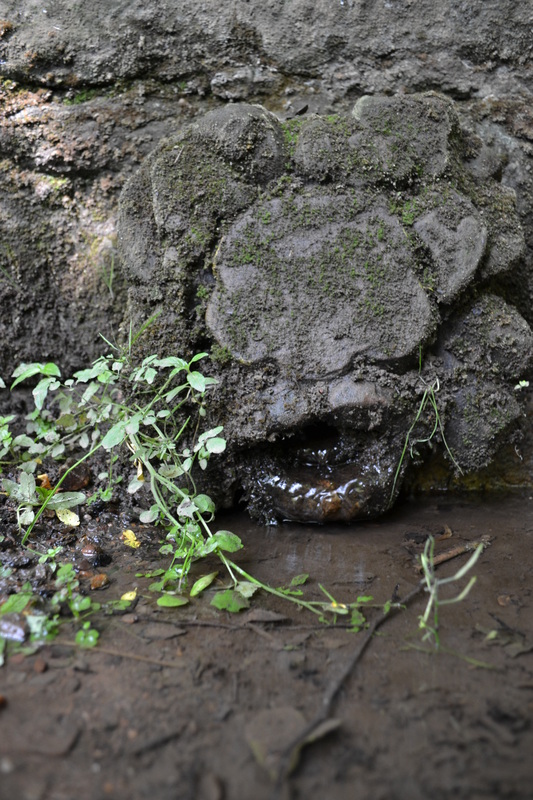 Its waters were used for healing by local people. 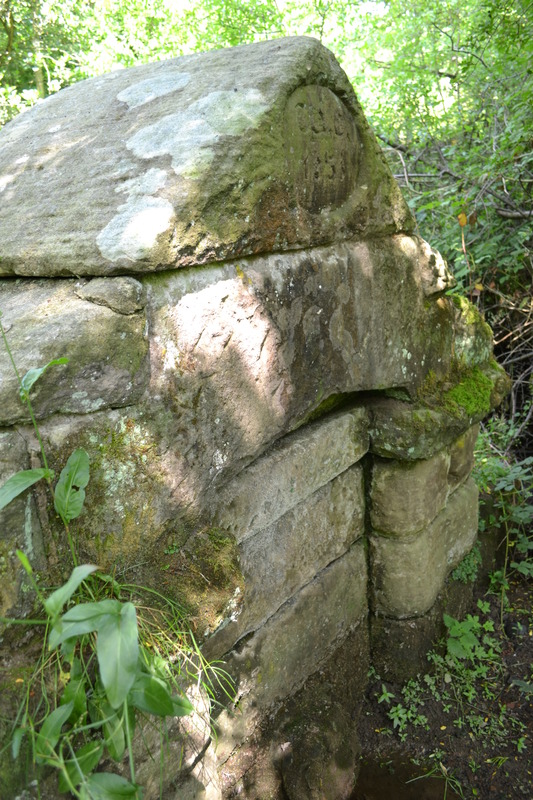 The approach to the well has been improved with a wooden walkway and it appears to be well preserved. In Sugnall Park, on the edge of Bigwood, is a Holy or St. Catherine’s Well (SJ 798 306). The well is unmarked on the current O/S and only as W on earlier editions, where the dedication originated is unclear but it is known as such in the village and in Stafford County Archives. The well is source of a small brook which flows to fill Cop Mere. 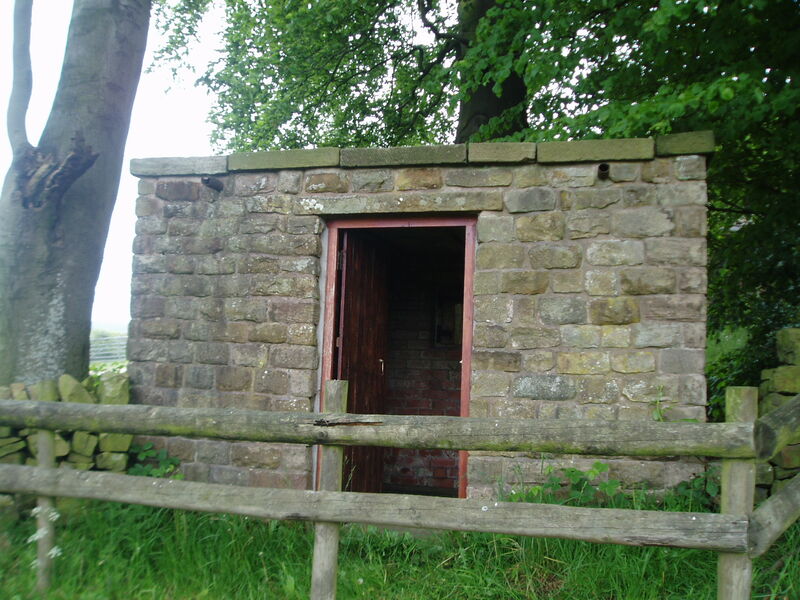 It is covered by small square sandstone well house with pyramidal roof. The roof was said to have been surmounted by cross of which only base remains, but there does not appear to be any evidence of breakage. The well looks like an ‘improvement’ made when the estate was developed in the 1700s with a Gothick boathouse and walled garden. The well is thought to date from 1770 when a temple was constructed in the park. It has been given a grade II listing. 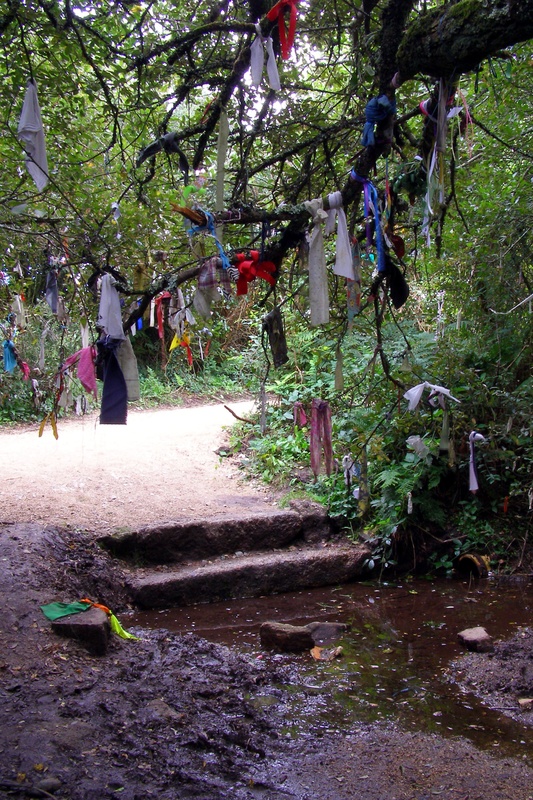 Uttoxeter boasts a very interesting holy well called variously Maidens, Marian’s or Mary Well (SK 094 264). It is situated on the hill along High Wood road above the town and now enclosed in the front section of the garden of 21a Highwood Road. 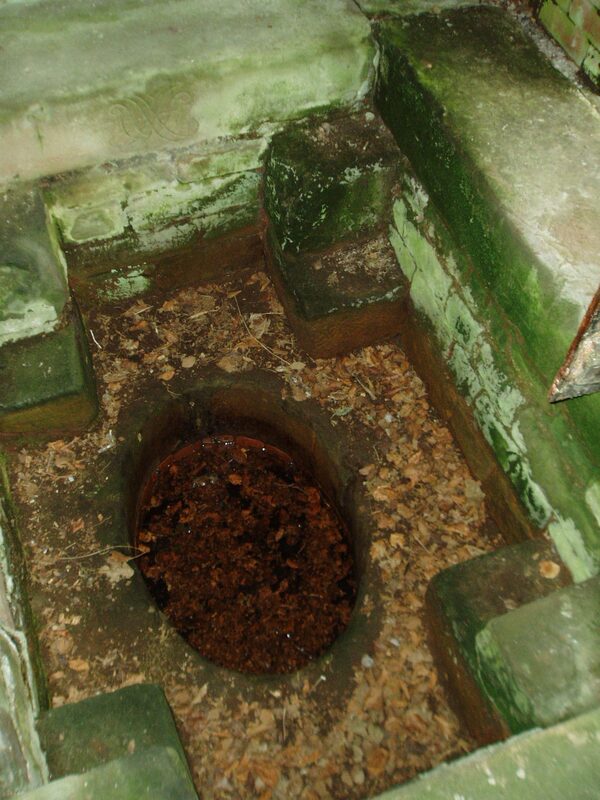 The spring arises in a roughly two feet wide circular well basin lined by old brickwork, Although I could see no evidence of running water, the water is nevertheless clear and the well has a sandy bottom. 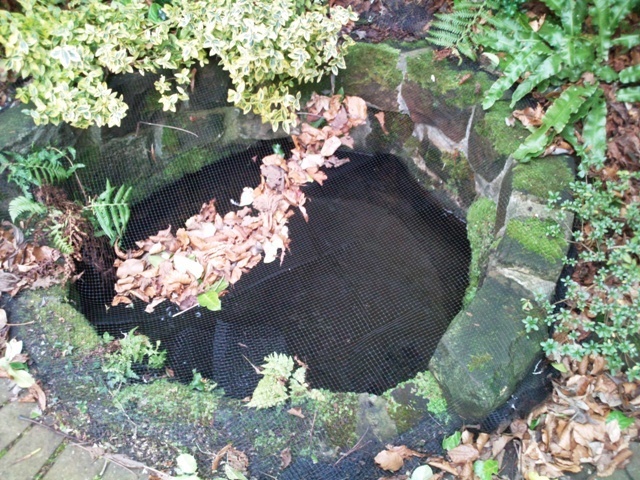 A mesh cover has been placed over the well to prevent leaves fouling it and it is well looked after. Its water is thought to be curative. 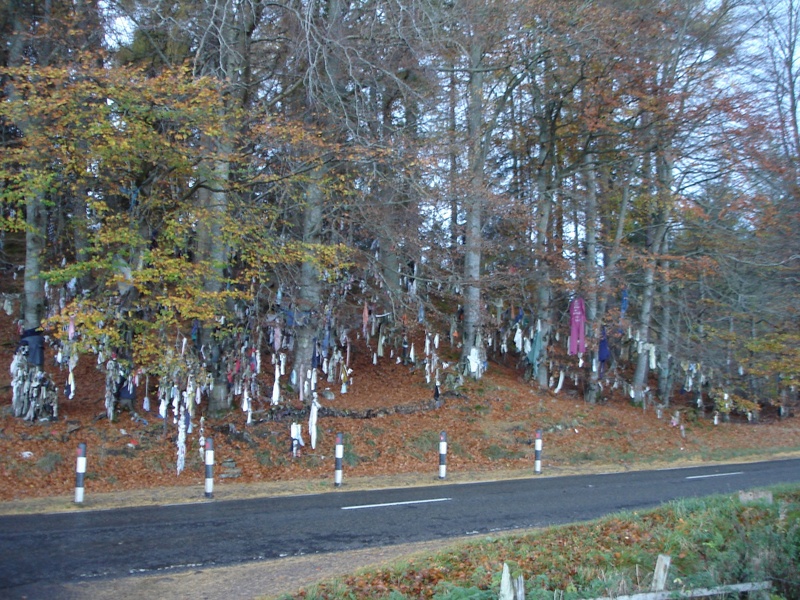 A local legend records that it is haunted by a ghost of a young women, who may be significant, perhaps it remembers the dedication. 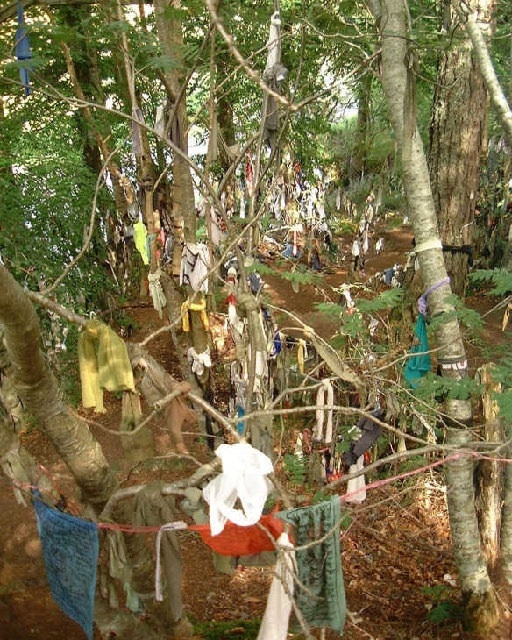 The Rykenald Way runs past the well, suggesting a great history and indeed it is also called Maiden’s Way. This is only the tip of a very large number of sites which have received very little coverage so please look out for the book in the future.